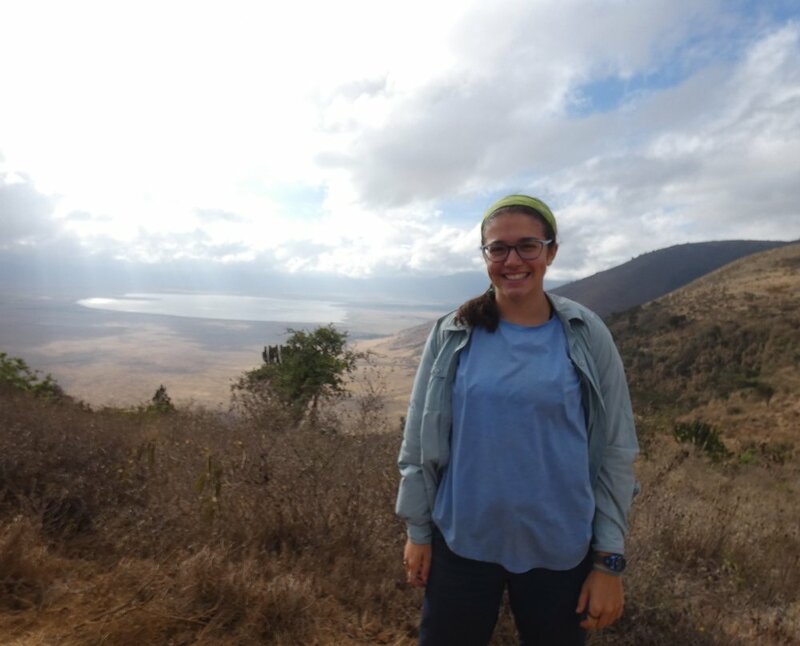 Halee Mahoney ’20 just returned from a semester abroad in Rhotia, Tanzania. As an environmental studies major, she focused her studies on wildlife management. What was the most memorable moment of your experience abroad? I have a lot of great memories from the semester, but one that sticks out was the last evening we were driving through the Serengeti. We were all standing in the safari car, driving way faster than anyone should on bumpy roads, and we were all silent, just absorbing everything we could while enjoying the most beautiful sunset I have ever seen. What was the hardest adjustment you had to make? It was hard to go to a country [where] I had no experience with the national language at all. Luckily we had Swahili as a class, and I learned quite a bit in just a semester by having to use it to communicate with the staff and locals. It was de nitely hard though to not be able to always hold the conversation I would like, but I adjusted by being okay with that and using just more than words to communicate. A lot of gesturing and games occurred because of it! Was there anything that happened that surprised or struck you as unexpected? I was pleasantly surprised how nice and welcoming everyone was! What was your favorite new food that you tried? There was so much good food! Some of my favorites were Tanzanian pilau rice (so much avor), chips mayai (potato and egg omelette) and mandazi (a less sweet donut). What advice do you have for someone who wants to study abroad? There is so much excitement and pressure surrounded with study abroad, which is essentially telling someone it is going to be the best experience you have ever had. I am incredibly lucky, and it was absolutely amazing for me and my career goals have changed because of it. But that doesn’t mean there aren’t hard days, and you might miss what is more familiar to you. I highly recommend [studying] abroad to everyone because I think it is such a great opportunity to grow and learn. However, my advice is when you are there, let yourself have hard days and recognize that it’s normal. Even if your experience overall wasn’t what you were expecting, you learned a tremendous amount about yourself and the world.